When Claude Monet was a young man starting out, he was very much a starving artist. His style was new, and not yet accepted by art circles, but he was fortunate to have a group of friends with a similar style and talent to work with. They all desperately hoped that their paintings would be featured and sold and they all struggled with their parents and families over whether or not they should even be painting. 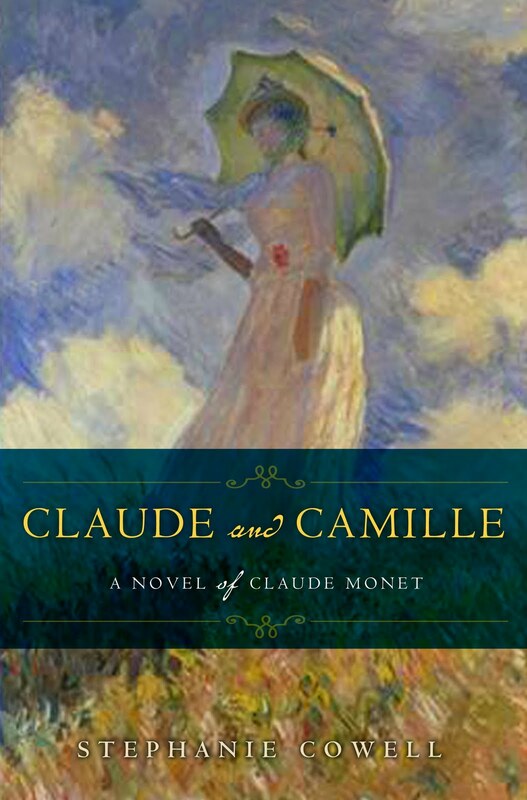 One day, Claude meets Camille a beautiful and well bred young woman he falls in love with. She is also quite passionate and falls in love with him and is willing to leave her family to live with him without getting married. This book is their love story and also the story of a man committed to his art. I had a little trouble getting into the book at first since it seemed to quickly skip through time, but that settled down a few chapters in I became engrossed in the story. I have to admit that I loved reading about the young artists, and their big huge belief in each other's work, the way they were all starving and scraping to get to by, and so amazingly devoted to their style. While I think that would be hard hard to deal with as a loved one, there's something so appealing to me about that kind of single focused passion. I also really liked the character of Camille at the beginning of the book, but she also had her fits of passion that started to annoy me at times later on in the story. Inevitably, things begin to unravel, friendships get tested, and love is cast aside and when I came across those parts in this book, I couldn't help but feel such loss. I wonder sometimes when I look at the beautiful paintings of Monet we have and all that he had to go through to bring that kind of beauty to the world. It's so easy to judge what artists do, yet we need them to have that kind of drive in order for us to have such great works. This book really has made me think a lot about creativity and devotion to it and also the role that community plays in creation. I really enjoyed that aspect of it. Overall, I thought this was an interesting book that exposed me to some new history and has made me want to go back and learn about these painters. So as historical fiction, it truly succeeded.